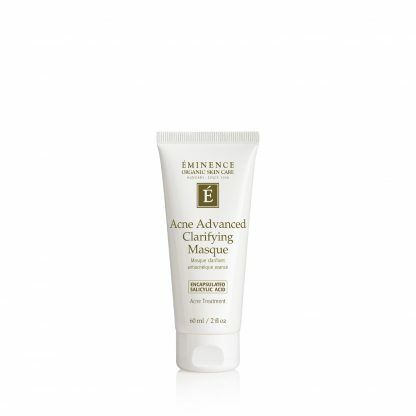 Eminence Acne Advanced Clarifying Masque is a two-in-one mask and spot treatment that utilises potent anti-acne ingredients to treat active acne and prevent future breakouts. Eminence Acne Advanced Clarifying Masque is a two-in-one mask and spot treatment that utilises potent anti-acne ingredients to treat active acne and prevent future breakouts. 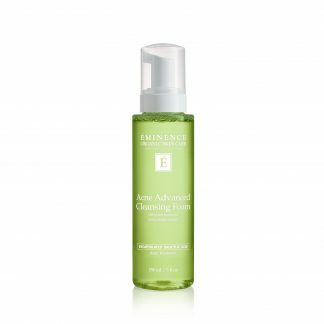 Three types of purifying clay combine to absorb oil and reduce shine, while basil oil helps ensure the skin looks calm and less irritated. 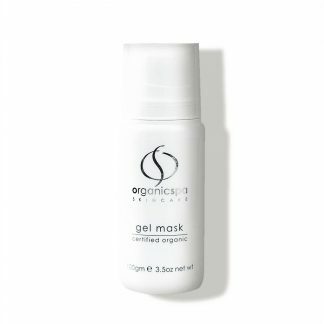 Use it to treat the entire face and neck or as a spot treatment to restore clarity to your complexion. 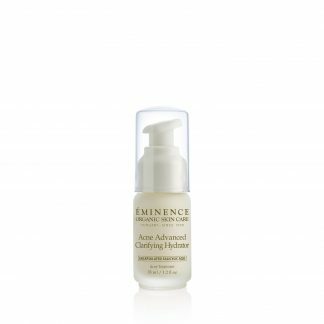 Cleanse skin thoroughly before applying your Eminence Acne Advanced Clarifying Masque. 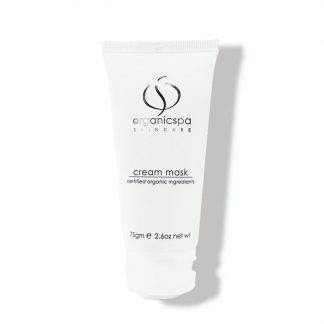 Apply a small amount of product evenly over the entire face and neck or apply as a spot treatment as desired. Allow to dry for 5 to 10 minutes. 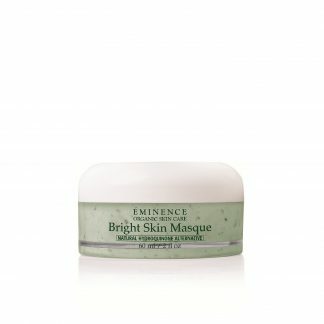 Rinse thoroughly with lukewarm water and use a face cloth if desired. 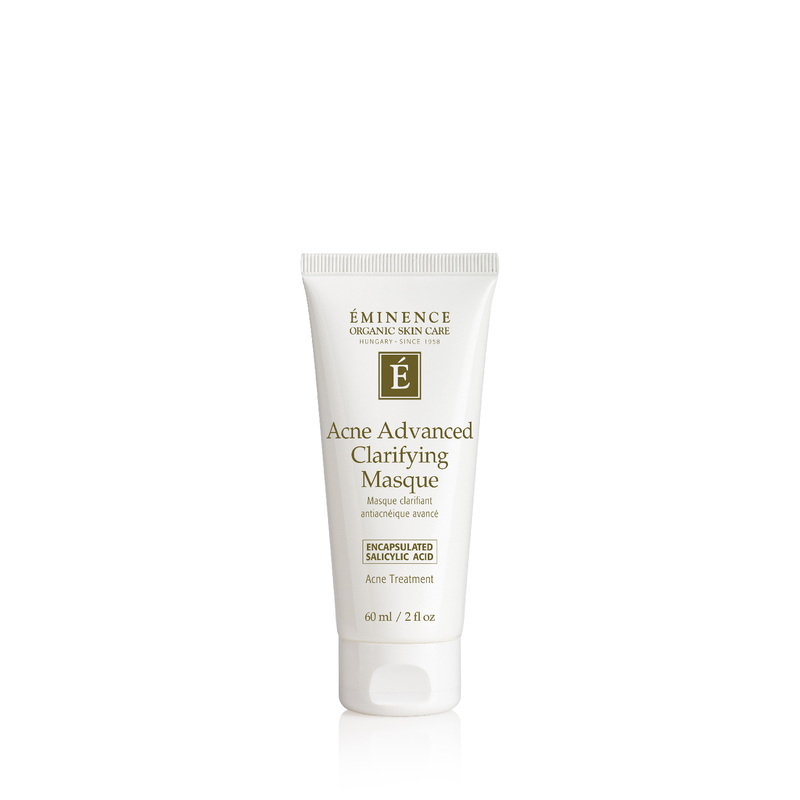 Use Eminence Acne Advanced Clarifying Masque weekly as a mask, or as a spot treatment up to three times per day.